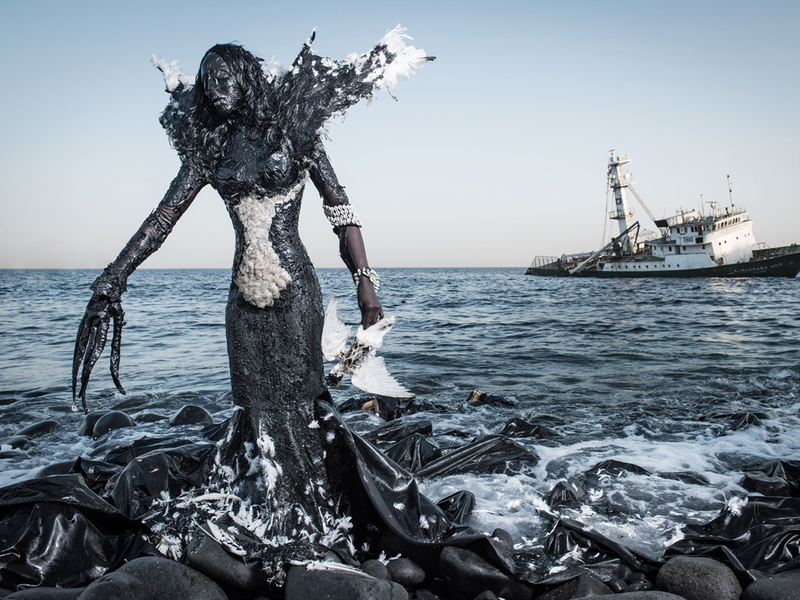 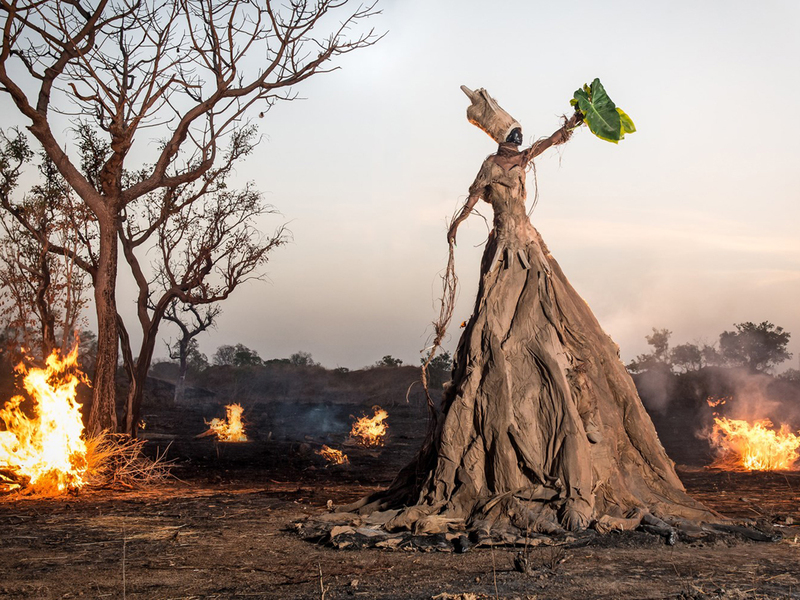 A collaboration between photographer Fabrice Monteiro and fashion designer Jah Gal, The Prophecy is a series of haunting tableaus illustrating Senegal’s widespread environmental crisis. 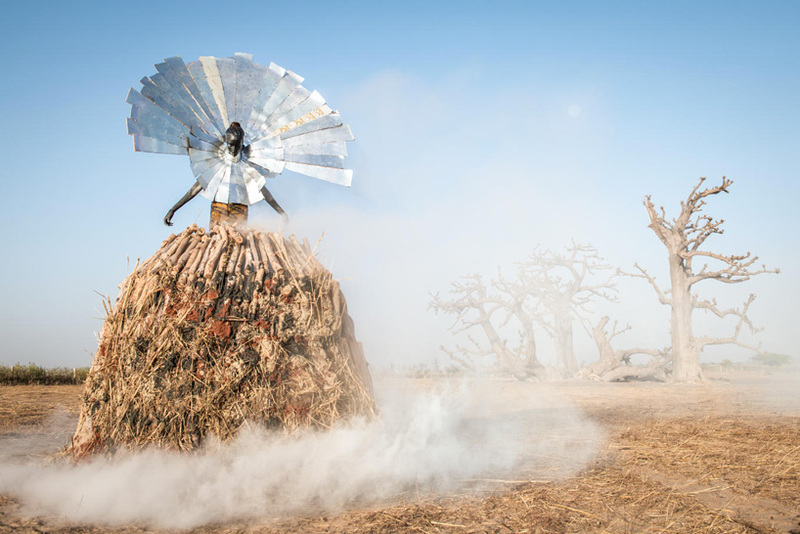 The African country, nearly half of which is classified as semiarid, is locked in a constant battle against desertification that is exacerbated still by deforestation, overgrazing, and slash-and-burn agriculture. 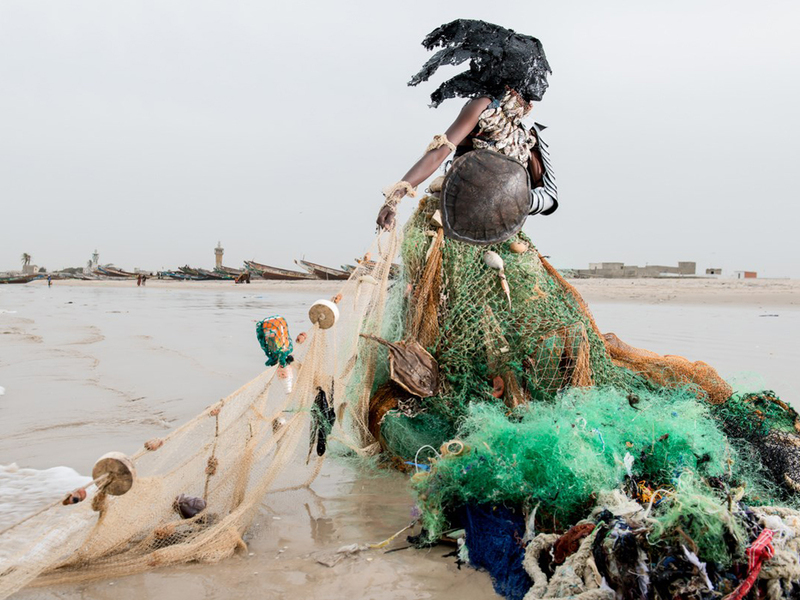 Refuse lies strewn across the streets of its capital, Dakar, while industrial waste chokes the once-pristine Bay of Hann. 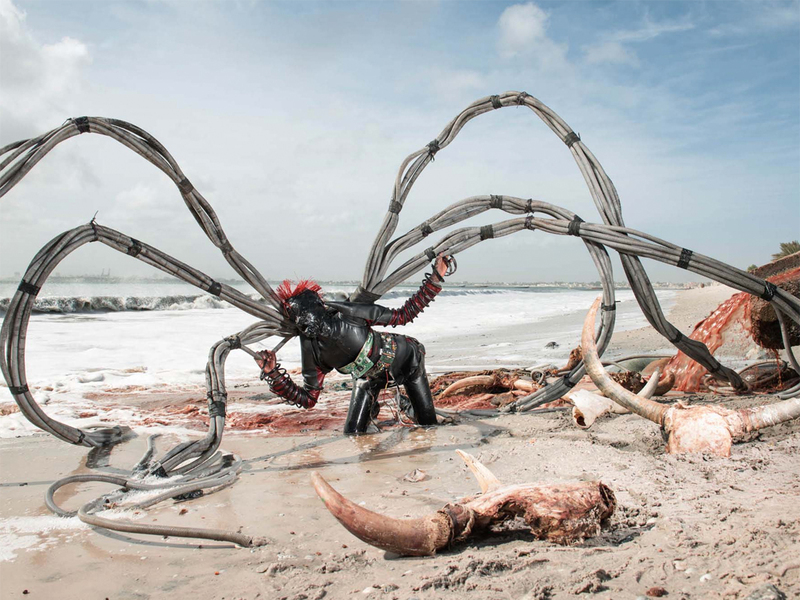 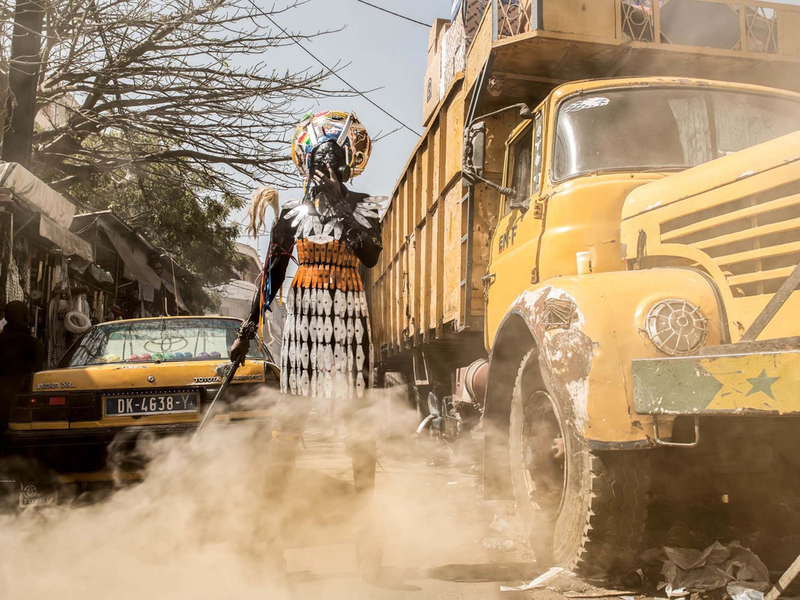 Garbed in costumes cobbled together from Senegal’s blighted landscapes, the models rise like primordial creatures from the deep, as if in warning of the apocalyptic future that lies ahead. 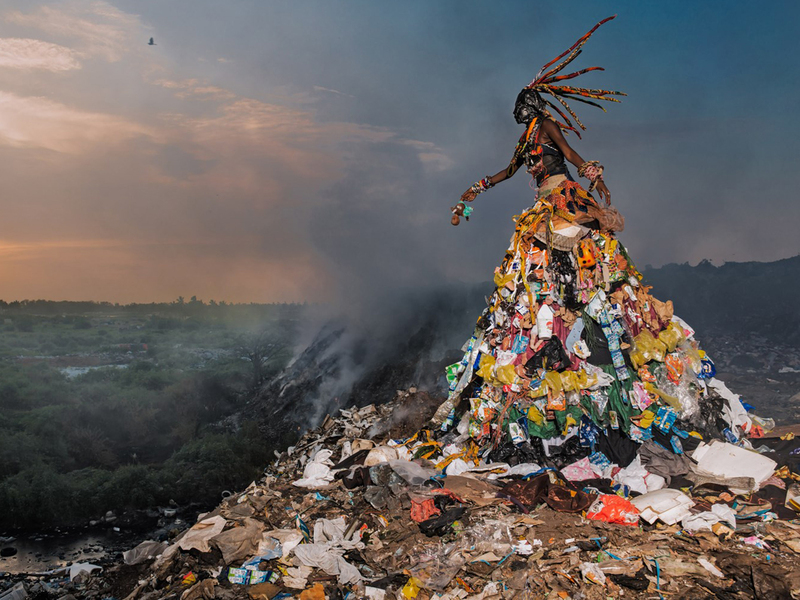 Urban living only amplifies the situation. 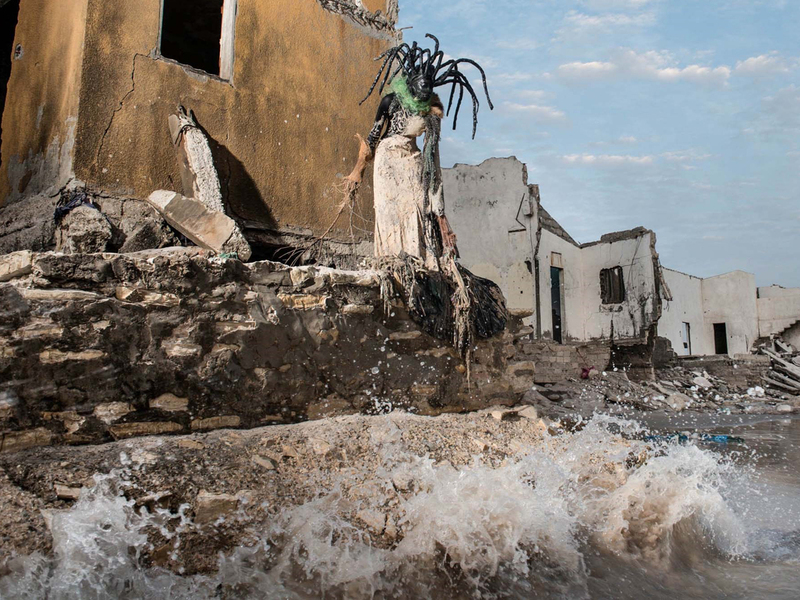 “Water, earth, air: no element is spared in a megapolis such as Dakar,” he adds. 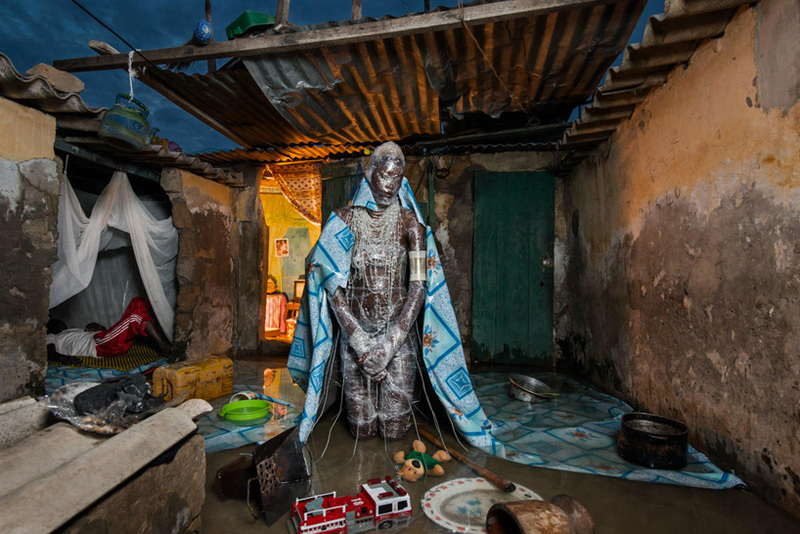 To deliver their message, Monteiro and Gal drew from the concept of the djinn: a race of supernatural beings that coexisted invisibly with the early Senegalese—or so they believed.